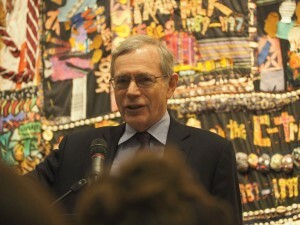 One inspiration we can take from the history of the Underground Railroad is that it holds up for us a model of Black and White people “working together for a just cause.” Dr. Eric Foner, speaking yesterday at the National Underground Railroad Freedom Center, reminded us of this important gift from antebellum activists to people of today. 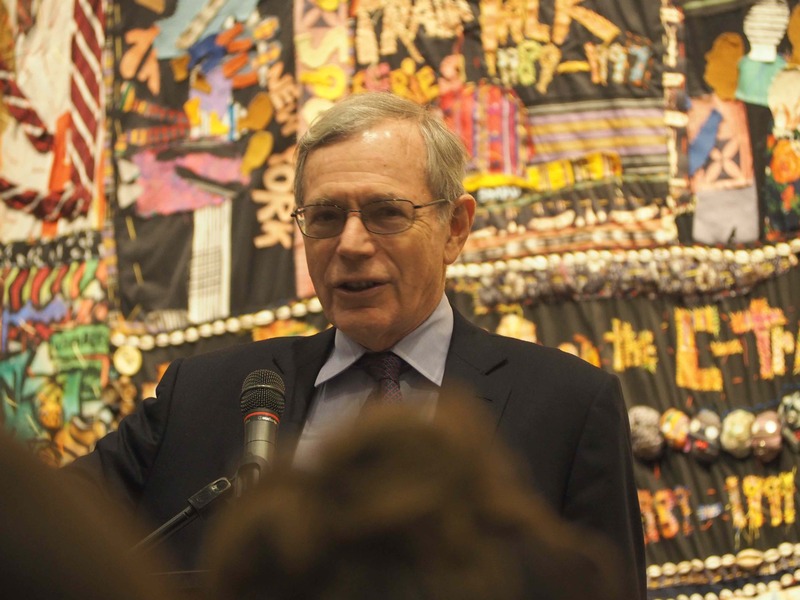 Foner, respected historian of the Civil War and Reconstruction, and author of the recently published delivered a lecture as part of the John and Francie Pepper Lecture Series at the Center. 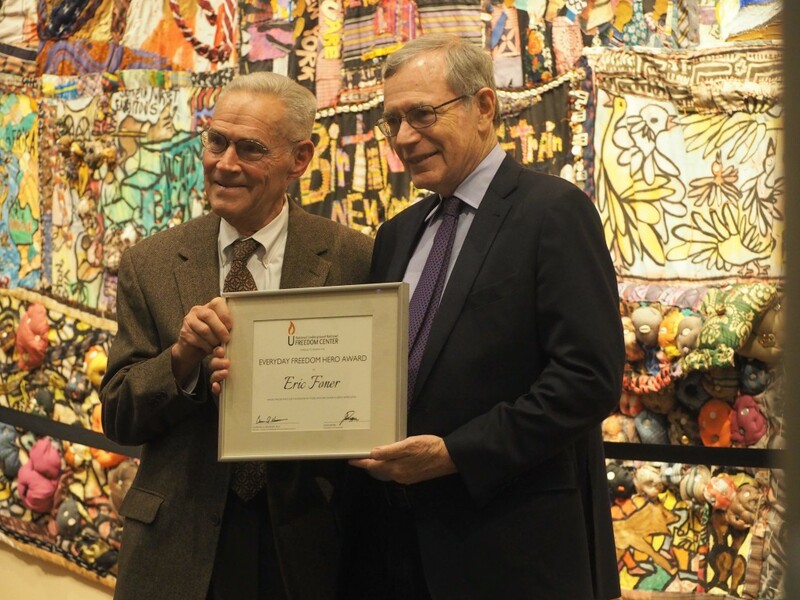 Dr. Foner’s new book about the Underground Railroad in New York City and the eastern seaboard, Gateway To Freedom: The Hidden History of the Underground Railroad (New York,2015) , was the topic of the talk. In addition to sharing snippets of the many compelling personal stories of fugitives compiled by Sydney Howard Gay, 19th century abolitionist and journalist in New York City, Foner also touched on the subject of vigilance committees. Vigilance committees were collaborative efforts by Black and White abolitionists that included “aboveground” activities such as petitions for legislative change, legal protections, and fund raising to assist freedom seekers, as well as the “underground” direct assistance of freedom seekers in their movements northward. Dr. Foner’s research on vigilance committees in his home city of New York provided us insights to understand our local vigilance committee. It helped us to put into context the work of Levi Coffin with John Hatfield, Henry Boyd, and others in the Zion Baptist Church in downtown Cincinnati.